Doing a knockdown and rebuild? This is an exciting time – in a few months (hopefully) you will be unlocking the door of a brand-new home or commercial project which has been custom built to your exacting specifications! But before you even engage with an architect for your dream home or building, it’s important to consider a few key things about demolition. As Brisbane demolition experts, we know a great deal about demolition and wanted to share some of this wisdom with you. So, read on to find out everything you wanted to know about demolition including asbestos removal and commercial demolition. 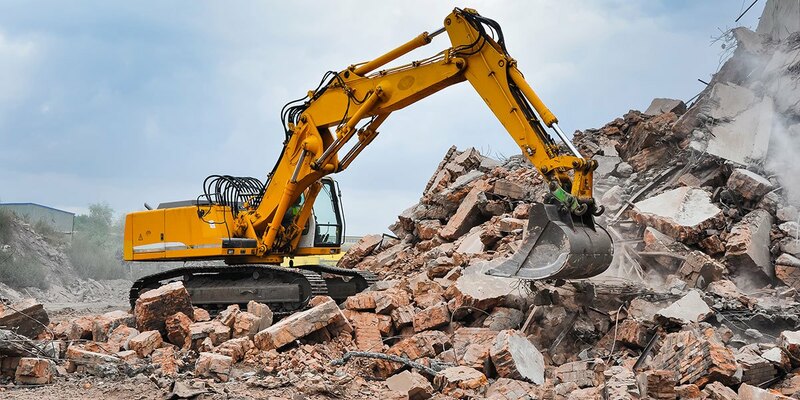 Then, when you’re ready to get started, call us for professional and safe demolition in south east Queensland. Call Daniel on 0401 314 356 today or reach out online and he will call you back as soon as he can. The great thing about demolition is that it’s quick, and it happens with a bang. But before you get the people in with the bobcats and the bulldozers you need to go through a fair few hoops that are there to ensure that your demolition happens safely in the first place. The type of demolition we are talking about here is full building demolition by the way, not just the removal of an internal wall or a staircase. In some cases, you will have to seek planning approval from the council before undertaking a demolition. If your property isn’t Heritage Listed, isn’t a commercial character building or isn’t on a site where demolition needs to be assessed under a neighbourhood plan then you may not need to seek approval. As a general rule, you can demolish free-standing outbuildings which have been built after 1946 without planning approval. Most people don’t have a bulldozer or a bobcat lying around in their backyard. While it can seem appealing to do at least some of the demolition yourself the fact is that it’s hot, dirty, dangerous work and it’s important to let the professionals take care of your demolition for you. At 3D Demolition, we not only adhere to the necessary safety standards, but we are insured and trained in safe and efficient demolitions. We don’t know your neighbours. They might have just had a new baby, are planning a renovation of their own, or are the most easy-going people in the world. But no matter who they are, it’s highly likely that they would appreciate a word in their ear about the upcoming demolition. You could even take them some home-baked goodies from your soon-to-be-gone kitchen as a way to show them you’re apologetic about the upcoming noise and dust (before they become apoplectic that you didn’t tell them)! Because once the demolition is over, you’re also going to be undertaking construction for a period of time. We hope you’ve already given this thought and found an Airbnb or rental home nearby – but just in case you were planning on camping in the backyard, we urge you to think about temporary accommodation for a few weeks. At least just while the knockdown demolition is taking place and a skeleton is erected where your new home is going to be. When knocking down a home that has been built anytime since 1946, there is a chance that it will contain asbestos in some way or another. It is absolutely vital that you deal with the asbestos before it becomes an issue and get professional asbestos removal done. At 3D Demolition, we have Asbestos Removal licencing in Brisbane and can safely and effectively dispose of your asbestos without any issues. Not everything in a demolition job needs to be destroyed. Fixtures and fittings that could be sold and used again can be salvaged, but this isn’t something you should do yourself. Most demolition services (including our own here at 3D Demolition) have a salvage service. That way we can salvage anything you want to keep, and we do it correctly and safely. We are experienced in assessing and removing salvageable materials and retaining these for you to use in a new build. We can retrieve anything from doors and windows right through kitchen sinks and bathtubs. So, if you’re thinking of demolishing your home or building and are curious about how to salvage materials or what you can retain – speak to us about that as well. We hope these are some interesting points for your upcoming demolition. If you are considering demolishing your home or building, give us a call and speak to Daniel on 0401 314 356 today or reach out online and he will call you back as soon as he can.